To address concerns such as energy security, reliability, affordability, and other objectives, the Government of Lao PDR is exploring alternative energy system plans for the country that consider domestic energy resources (including renewables and fossil fuels) to complement the current hydropower base. Assessing the potential for deploying energy technology alternatives is often an early step—and, in most cases, an ongoing process—in planning for energy sector development. Reliable and robust data are a crucial part to conducting these types of planning-related analyses in a transparent manner that builds confidence among power sector stakeholders and encourages investment in future energy project development and infrastructure opportunities. 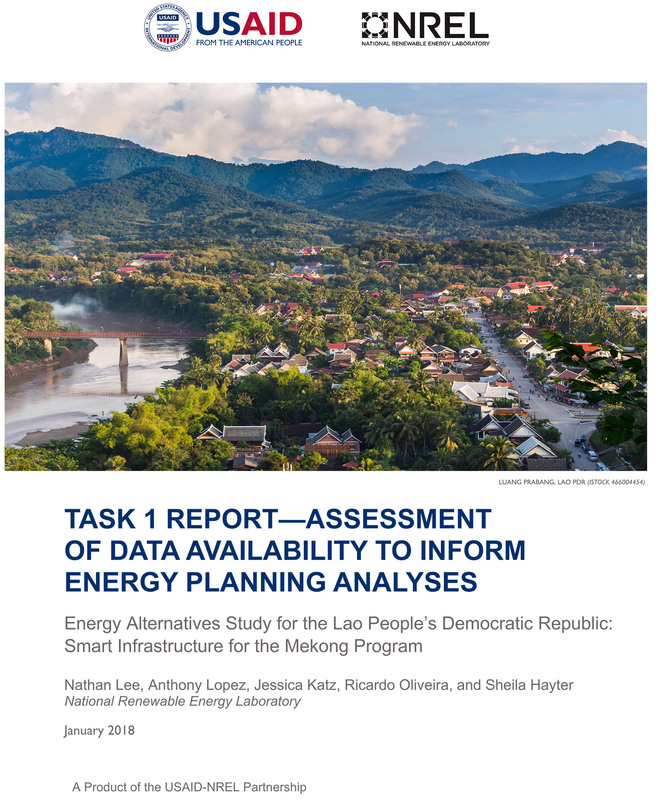 This report represents the first output of the Energy Alternatives Study for the Lao PDR, a collaboration between the Lao Ministry of Energy and Mines and the United States Agency for International Development (USAID) under the auspices of the Smart Infrastructure for the Mekong program. This report summarizes the availability, quality, and accessibility of data that serve as key inputs to energy planning activities for the power sector. The purpose of this data assessment is two-fold: (1) to facilitate the informed use of existing data by highlighting applications for these data as they relate to priority energy planning analyses; and (2) to inform future investments in energy data collection and management by identifying key data gaps and providing guidance on how to fill these gaps.